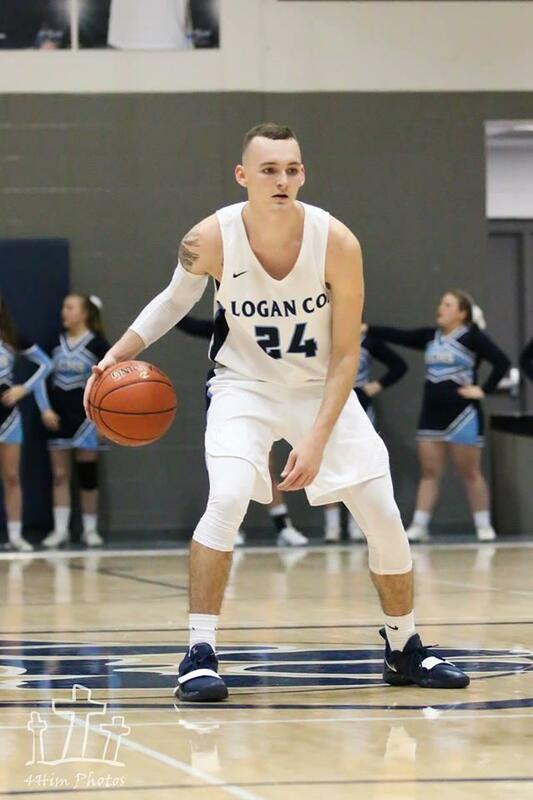 Standout Logan County Cougar basketball long-range shooter Kelby Epley will sign to play basketball for Thomas More College in Northern Kentucky Friday at 3:30 p.m. at the Logan Career & Technical Center. The public is invited. Thomas More plays in the American Collegiate Athletic Association, an NCAA Division III conference formed in 2017. If he plays for the Saints, Epley will become just the fourth Cougar in the school's 36-year history to play NCAA basketball. The other three are Fred Tisdale, Adonis Hart & Trey Turner. 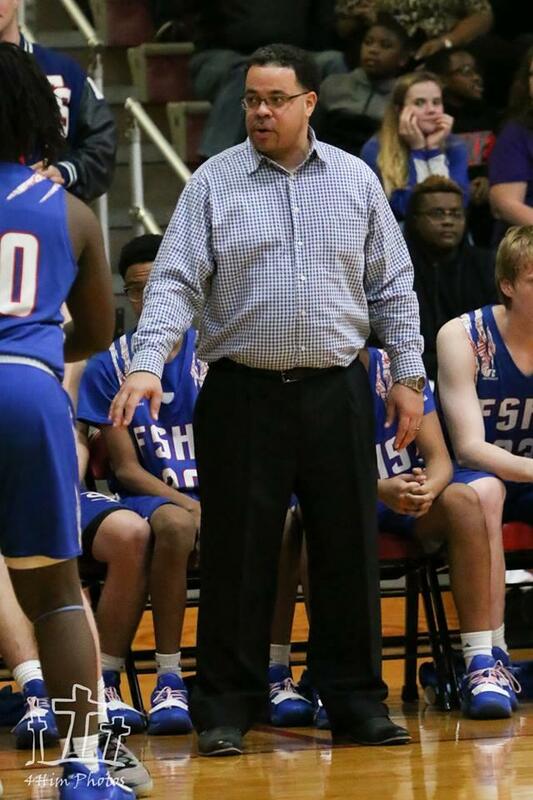 Saturday Coach Nathan Thompson's Bowling Green Hornets (3-2) are back in action at Russellville High School’s Jim Young Gymnasium, hosting the Jackson Eagles in a semi-pro basketball game. 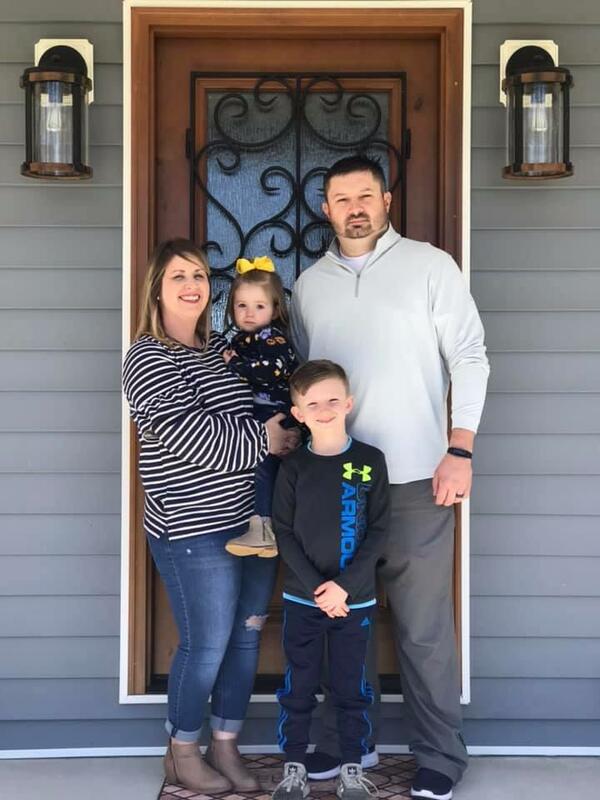 Tipoff is at 7 p.m.
Russellville Rural Fire Department will hold its annual fund raiser this Saturday, April 20, at the Logan County Extension Office, beginning at 5 p.m. Door prizes, auction items and a grand prize of $300 will be offered. A $7 pork tenderloin meal or a $4 hot dog meal will be available. Clay Bilyeu will provide the entertainment. The Auburn Masons will hold a Community Easter Egg Hunt on the grounds of the Auburn Museum on Saturday, April 20, beginning from 11:30 until noon. Age groups will be 1-6 and 7 & Up. Families should bring their own baskets. Prizes will be awarded. 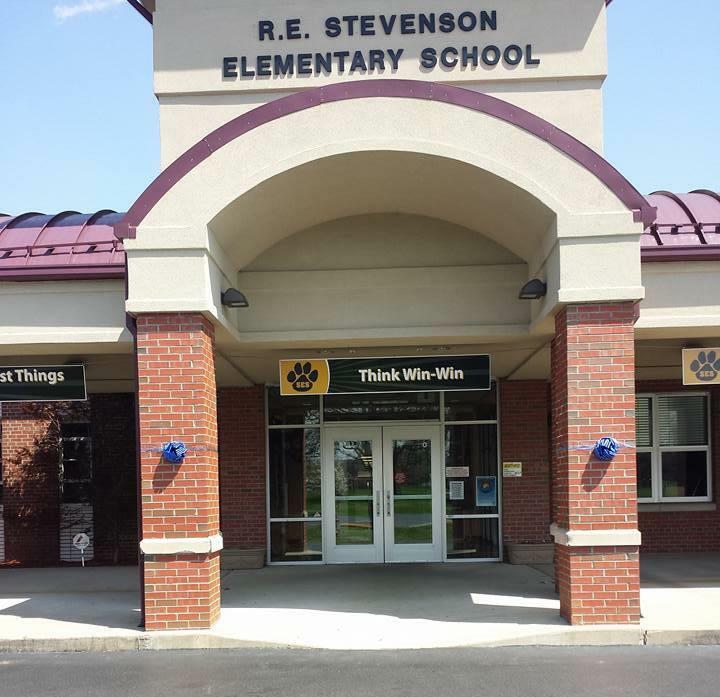 Russellville Independent School District’s Preschool Academy and Stevenson Elementary Kindergarten registrations will be held Thursday, April 18, from 2:45 p.m. to 5:30 p.m. and will continue the following Monday through Thursday, April 22-25, from 2:45 p.m. to 4:30 p.m. It will be held in the Stevenson Cafeteria. 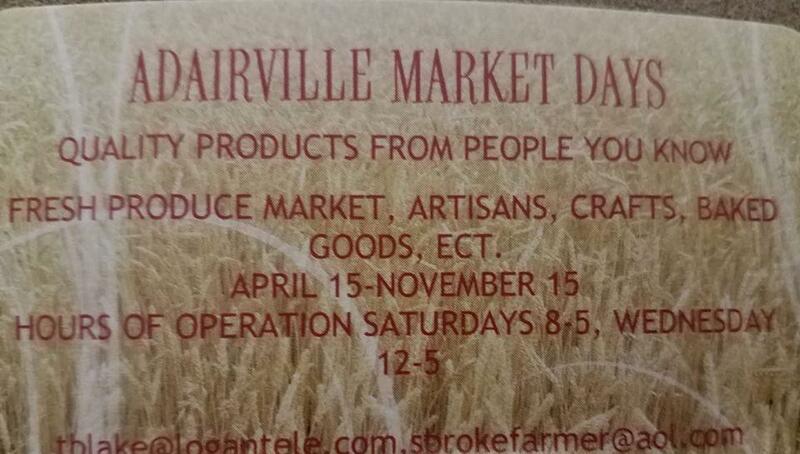 Beginning Wednesday, vendors will be set up on the Adairville Town Square to sell a variety of items, including produce when it is season along with crafts and baked goods. Adairville Market Days will be held Wednesday afternoons and all day on Saturdays. Wednesday hours are noon to 5 p.m. and Saturdays from 8 a.m. to 5 p.m. from April 15-Nov. 15. 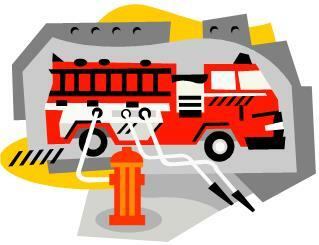 For more information, contact Mayor Donna Blake at tblake@logantele.com. 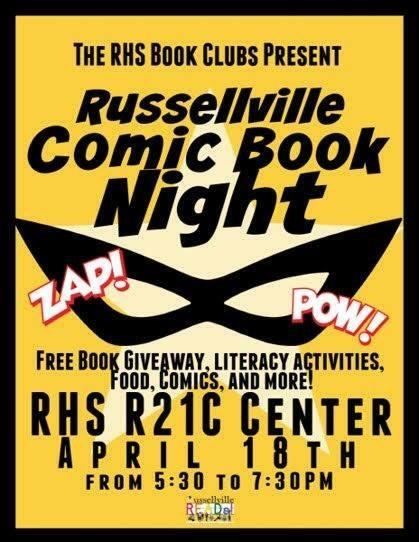 From Brandy West: This Thursday from 5:30 to 7:30 p.m., the RHS Book Club along with the help of the middle school Book Clubs will be hosting a Comic Book Night at the new RHS R21C Center, located beside the high school. This event is open to the public, ages ranging from pre-k to teens. There are various games and literacy activities planned, ranging from obstacles courses to painting your own hero! Free grilled hot dogs, chips, drinks, and superhero themed snacks will be provided for the students and families. There will also be book giveaways! Each student will get to choose two books to purchase from our graphic novel/comic book list. The RHS Bookmobile will be setup in the parking lot for families to explore. We encourage everyone to dress up as your favorite hero and the best costume will win a grand prize! We hope to see you there! Special thanks to Jesse Nugent, Lauren Fynboe, Cassie Reding and Russellville READS! 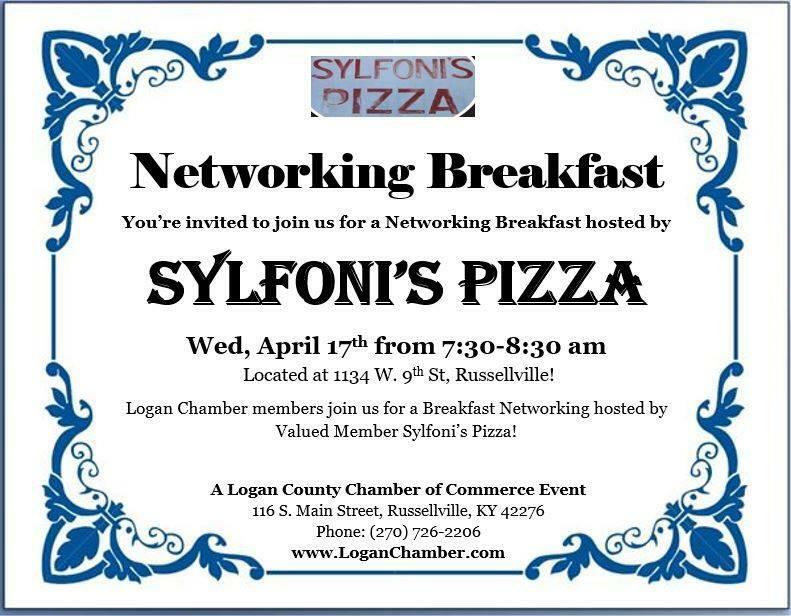 The Logan County Chamber of Commerce will hold a networking breakfast Wednesday morning from 7:30-8:30 a.m. All members are encouraged to attend. A free, public Resource Fair will be held at Logan County Public Library Wednesday, April 17, from 10 a.m. to 2 p.m. Job information will be available from Kentucky Career Center, Kentucky National Guard and Logan County Adult Education. Area colleges will also be present. Financial aid information for colleges will also be available. 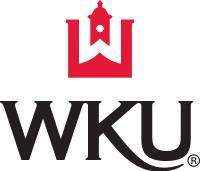 The event is sponsored by the Educational Opportunity Center headquartered at WKU. 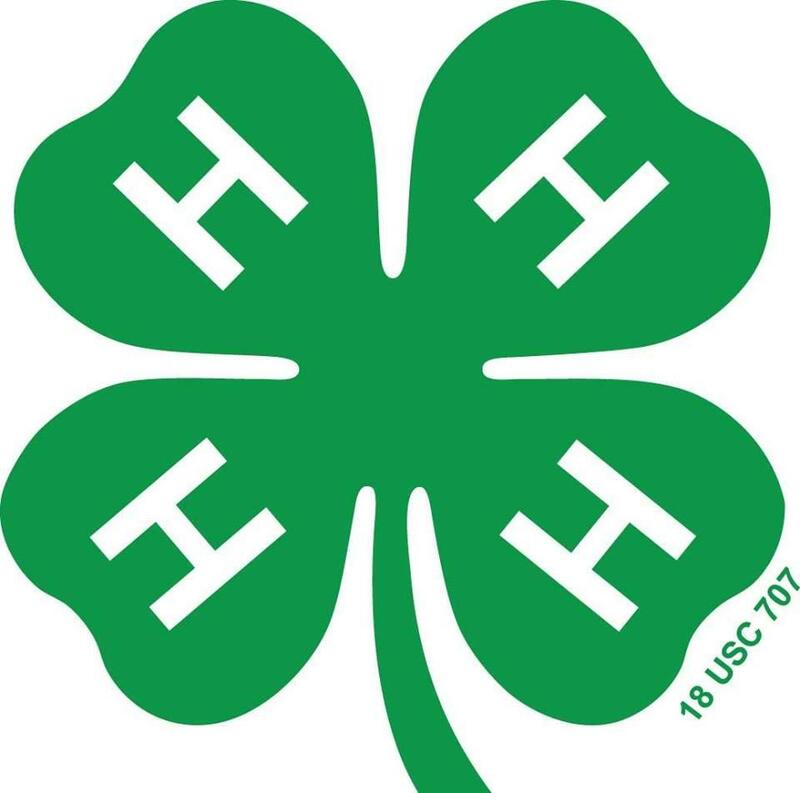 Logan 4-H will offer lunch options at its Spring Grill Luncheon on Wednesday, April 17, from 10:30 a.m.-1 p.m. at the Extension Office. Delivery is available for orders of five or more. Advance orders are requested at 270-726-6323. Proceeds will benefit Logan County 4-H programs. There will be a meeting for any Logan County student who is interested in playing golf for this upcoming season on Thursday, April 18, at 5:30 p.m. at the LCTC. All returning players should be there unless they are involved in a spring sport. 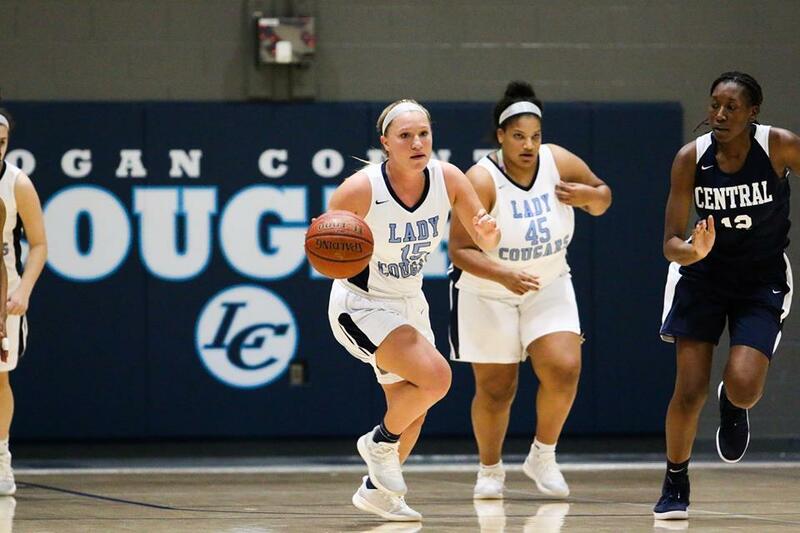 Former Cougar multi-sport standout Kelley Jordan will be introduced as the program's new coach, as "well as going over potential schedules and fundraising material for this upcoming season. "We will also discuss the move to form a booster club," says Athletic Director Greg Howard. From Logan County Republican Chairman Barry Kennedy: The 2019 Logan County Lincoln Day Dinner will be on Saturday, April 13, at the Historic Logan County Courthouse. 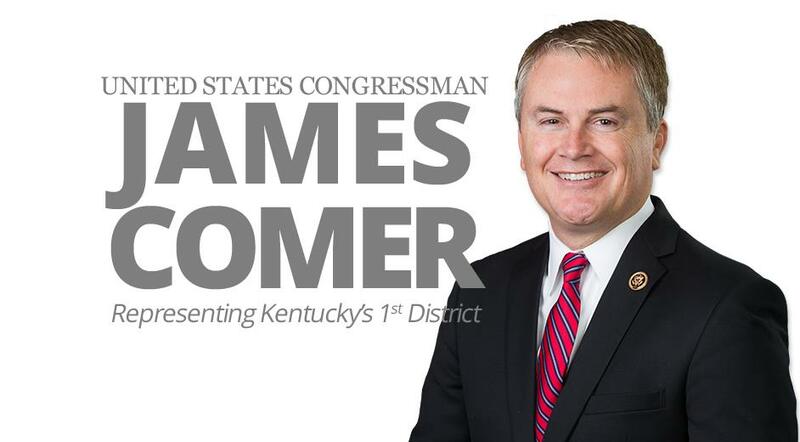 The doors will open at 4 p.m. and the program will start about 5:15 p.m. We will have a variety of speakers including Congressman James Comer, and many others. There will also be a live and silent auction as well. Tickets are $20 and can be purchased from an Executive Committee member, or by calling 270-726-3801. A market which will benefit the Logan County High School Swim Team whill be he;d Friday evening from 4-8 p.m.and Saturday from 9 a.m. to 4 p.m. at The Whitz Building on East Fourth Strreet in Russellville. Contact Jana Hardin for more information. The Logan Conservation Districts will be giving out free tree seedlings Wednesday morning beginning at 8. Each bag will contain 4-5 trees of the same species, which this year include Eastern Redbud, Silky Dogwood, Persimmon, Willow Oak, White Oak, Black Walnut, and Pecan. Each person may select a total of three bags. 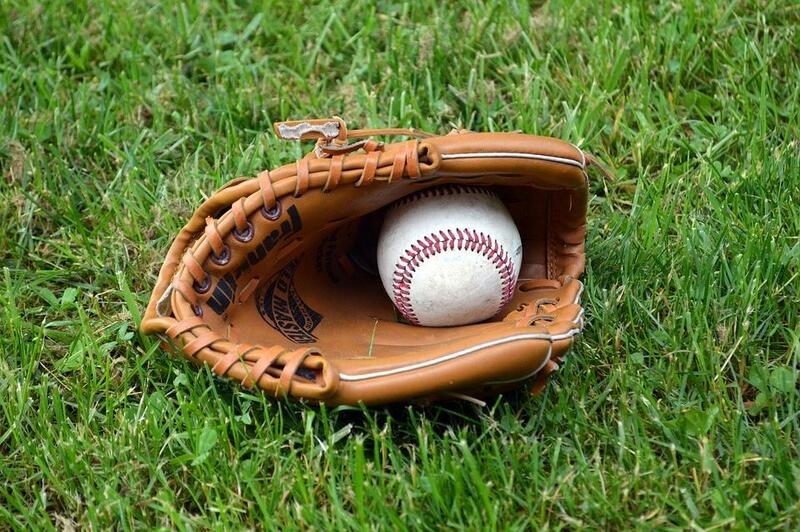 Sign ups for Logan County Summer Baseball continue through May 1. Registration fee is $55. Ages 13-15. 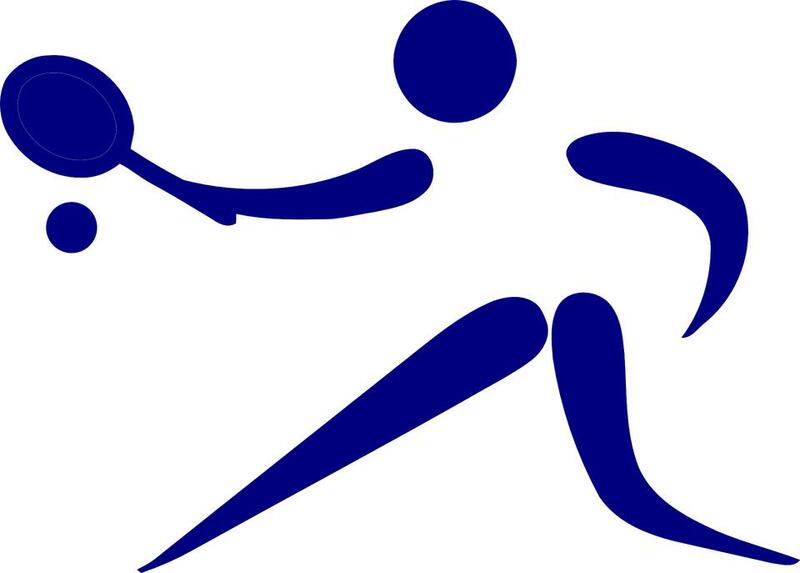 The games will start the last week of May and end June 24. Turn in to Coach Ethan Meguiar or the front office at LCHS, or drop off to the press box at any Logan County baseball game. The Youth Swine Clinic will be held Saturday, April 13, at the Milam Farm, beginning at 10 a.m. Expert judge Warren Beeler will discuss selection and answer questions from 4-H and FFA members. Lunch will be provided. The farm is located at 785 Cedar Grove Road, Olmstead. RSVP is requested by calling Chris Milam at 270-847-0634. The Logan County Cougars' scheduled baseball game today at the Bowling Green Ballpark where the Hot Rods play is still on, Athletic Director Greg Howard has announced. Game time is 5:30 p.m. Admission is $5. 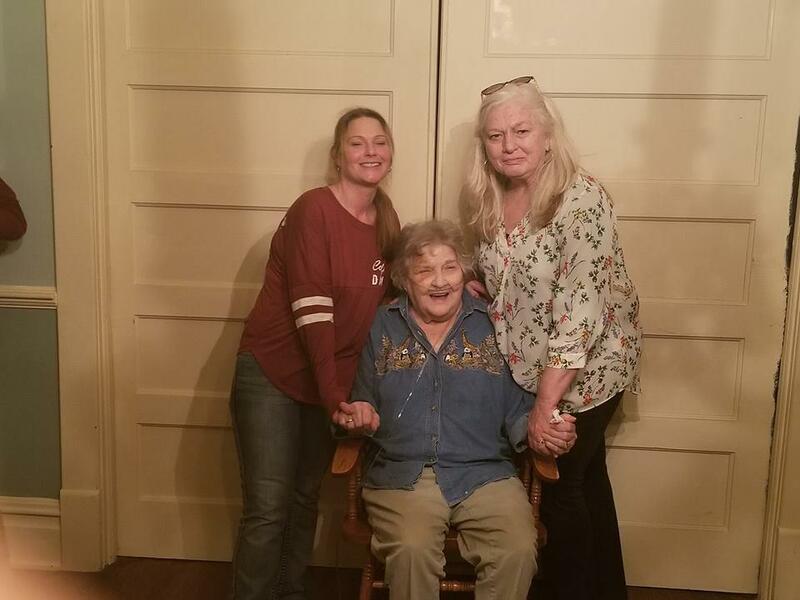 Funeral services for former Russellville Mayor Shirlee Yassney will be held at Summers, Kirby and Sanders Funeral Home in Russellville at 1 p.m. Tuesday. 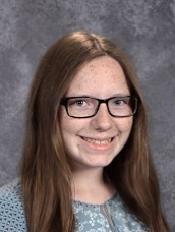 Visitation will be held on Monday night from 5-8 and Tuesday from 11 a.m. until the funeral hour. Burial will be a Pea Ridge cemetery in Todd County. A complete obituary will follow on The Logan Journal. 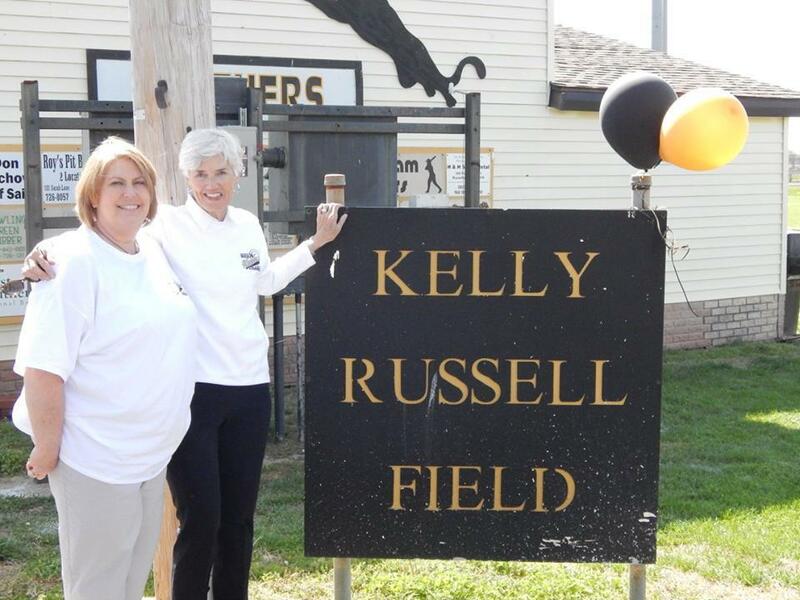 From Diane Gilliam Walker: Only two weeks until the Kelly Russell Classic. Logan County Cougar Baseball will be participating this year. So for LC fans, we will have tee shirts in blue color. These are the dri fit style. Small to XL is $15. 2x is $17, 3x $18 4x $19. Help support the scholarship fund. Place an order with me or Greg Owens by Tuesday, April 9. 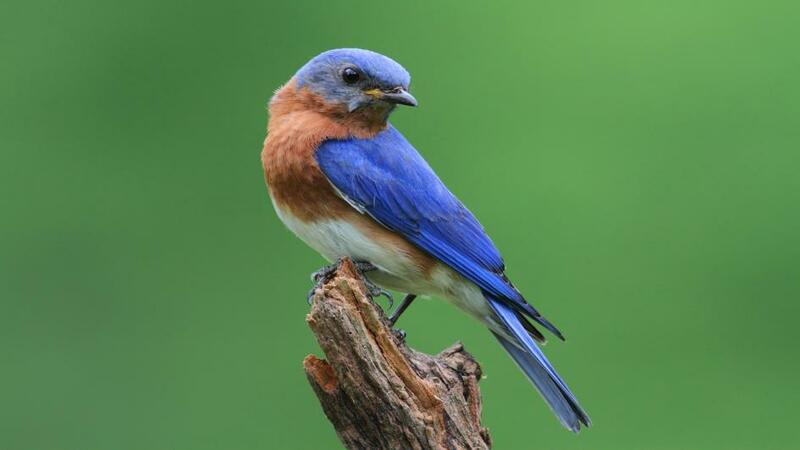 From Logan County High School Athletic Director Greg Howard: Varsity/JV Baseball games scheduled for this afternoon have been postponed until tomorrow. Time will be announced as soon as it has been decided. 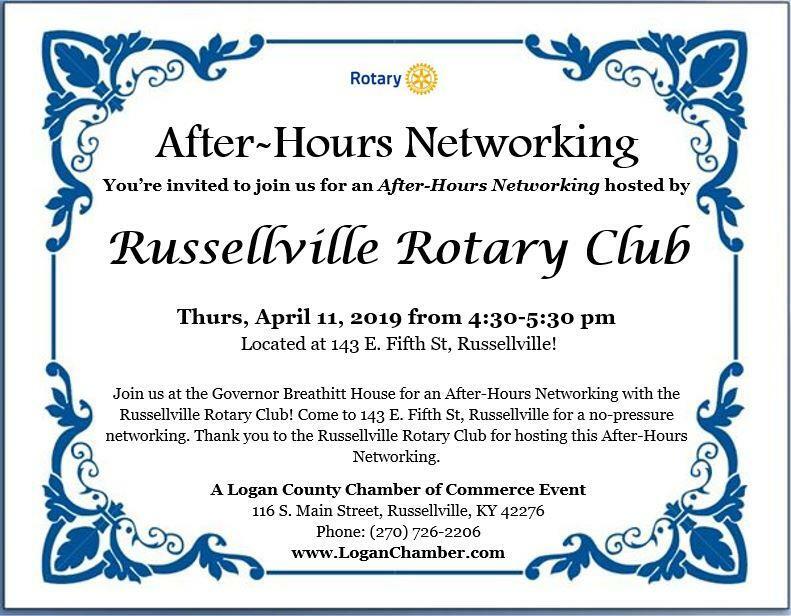 Logan Chamber of Commerce members are invited to an After-Hours Networking with the Russellville Rotary Club on Thursday, April 11, from 4:30-5:30 p.m. It will be at the Governor Breathitt House at 143 East Fifth Street in Russellville. 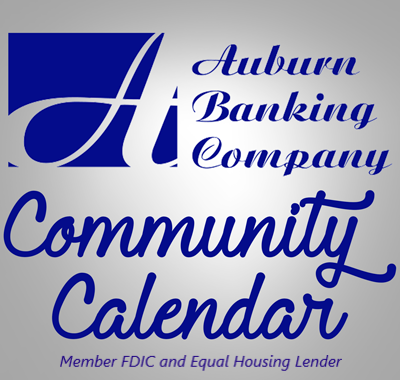 The Auburn Spring Senior Dance will be held Saturday, April 6, from 6-9 p.m. at the Auburn Senior Center. New Old Habits will provide the music. The cost is $5. A potluck meal will be served and a cake walk held. WKU overcame 21 turnovers and a third-quarter deficit for the second straight game on Sunday afternoon, rallying past Morehead State for a 68-65 victory inside E.A. Diddle Arena to book a spot in the WNIT’s Round of 16. Dee Givens (23 points) and Alexis Brewer (19) combined for 42 of WKU’s 68 points while leading the way on Sunday to secure the program’s seventh consecutive 20-win season, matching the longest such stretch in school history for the Lady Toppers (20-14). With the victory, WKU advances to face Ohio on the road next Thursday evening at 6 p.m. (CT) in Athens, Ohio. 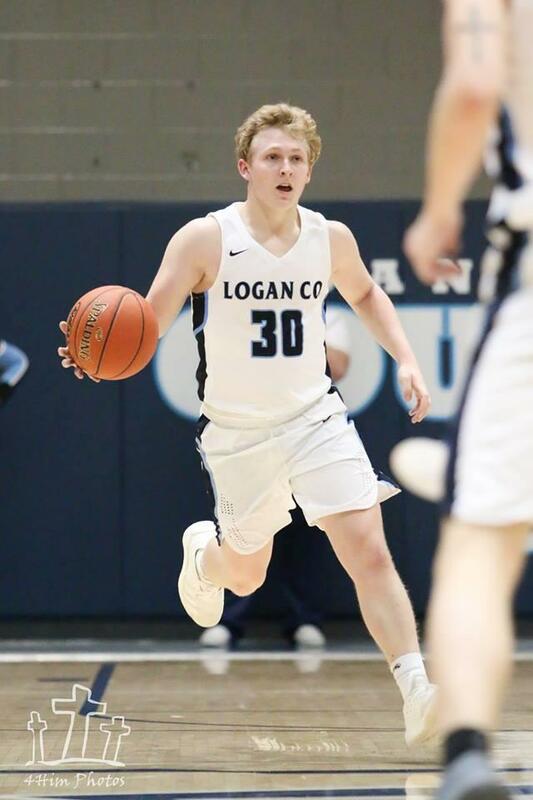 Logan County basketball standout Tommy Krohn will sign to play basketball for Brescia University this afternoon (Friday) at 3:30 at the Logan CTC. Krohn stood out in every facet of the game for Coach John Tinsley's dsitrict champion/regional semifinalist/25-7 team. Brescia is located in Owensboro and plays in NAIA's River States Conference. Dee Givens exploded for 13 points in the third quarter as WKU outscored Miami (Ohio) by 12 points in the frame, overcoming an 11-point deficit inside Millett Hall on Thursday evening to advance to the second round of the 2019 Women’s National Invitation Tournament (WNIT) with a 67-63 victory.WKU will now host Morehead State on Sunday afternoon at 2 p.m. inside Diddle Arena. Givens poured in a team-high 20 points despite taking only seven shots on the night, doing much of her damage with a 10-for-12 performance from the free throw line. The Lady Toppers (19-14) also got a double-double from Raneem Elgedawy (17 points, 13 rebounds) and Alexis Brewer added 16 points to round out the trio in double figures. 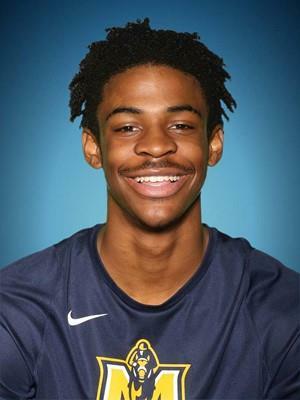 Ja Morant put together a game for the ages Thursday in leading Murray State to an 83-64 upset of Marquette Thursday in the first round of the NCAA Tournament’s West Region at Hartford, Conn. The sophomore guard, who is expected to be among the top five NBA draft picks this summer, fashioned a triple double with 17 points, 16 assists and 11 rebounds. The Racers will now play Florida State in the Round of 32. Morant is only the 10th different player to record a triple double in the history of the tournaments. Among the others are Oscar Robertson, Magic Johnson, Draymond Green, Shaquille O’Neal & Dwyane Wade. 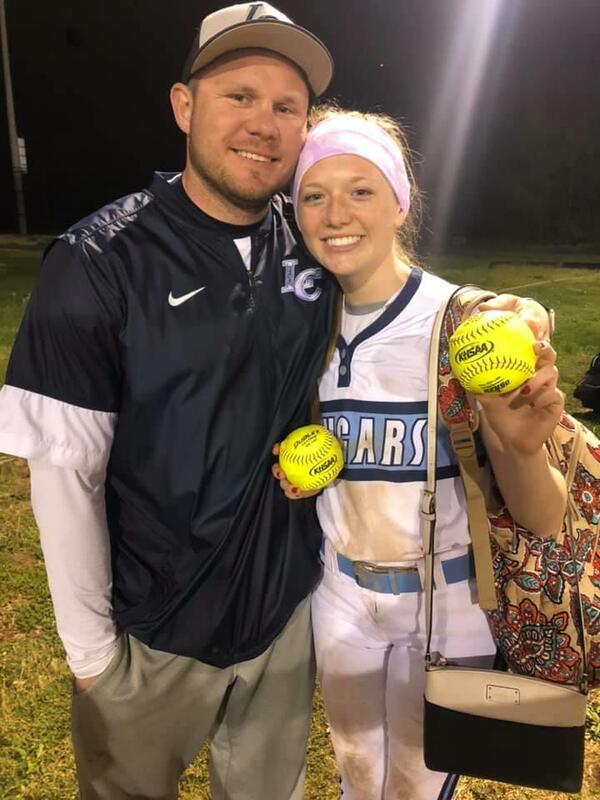 From Logan County High School Athletic Director Greg Howard: Absolutely awesome to get softball and baseball wins on opening day of the season Monday. Baseball had a late rally to edge South Warren 5-4 and Softball had a 5 inning 11-1 win over Butler County. What was more impressive was the opening night crowd. Congrats to all!! 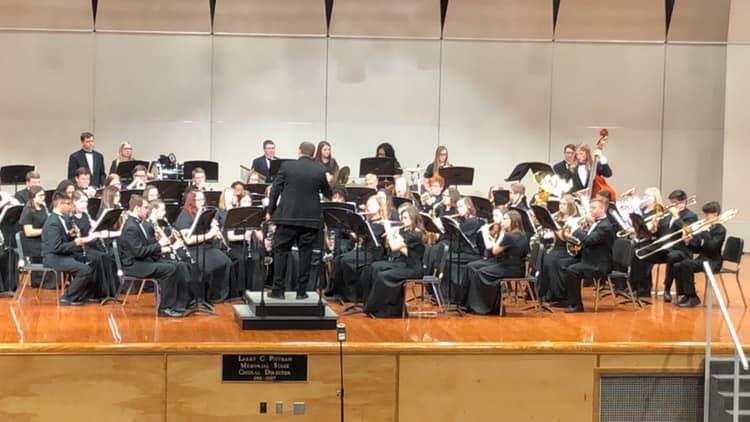 LCHS Symphonic Band will present a free and open concert this evening (Tuesday) at 6:30 in the Main Gym. Selections performed will be by Richard Saucedo, Samuel Hazo, Thomas Allen, Ralph Vaughn Williams, John Mackey, Wolfgang Amadeus Mozart & Jacob de Haan. 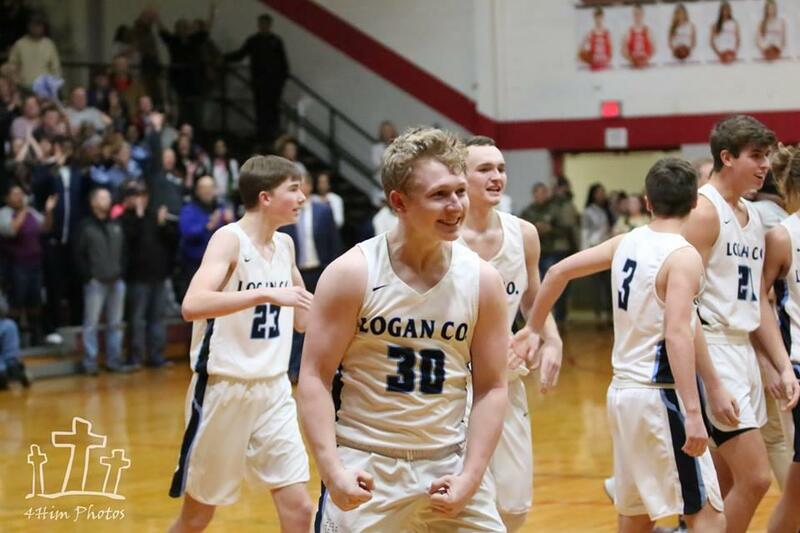 From Artis Stratton: Signsups for Logan County Summer League is going on for ages 13 to 15. The games will start the last week of May and will be finished around June 25. The cost is $55. If interested, contact me at 270-847-1453 or Coach Ethan Meguiar at 270-221-5480. Signups will end April 25. 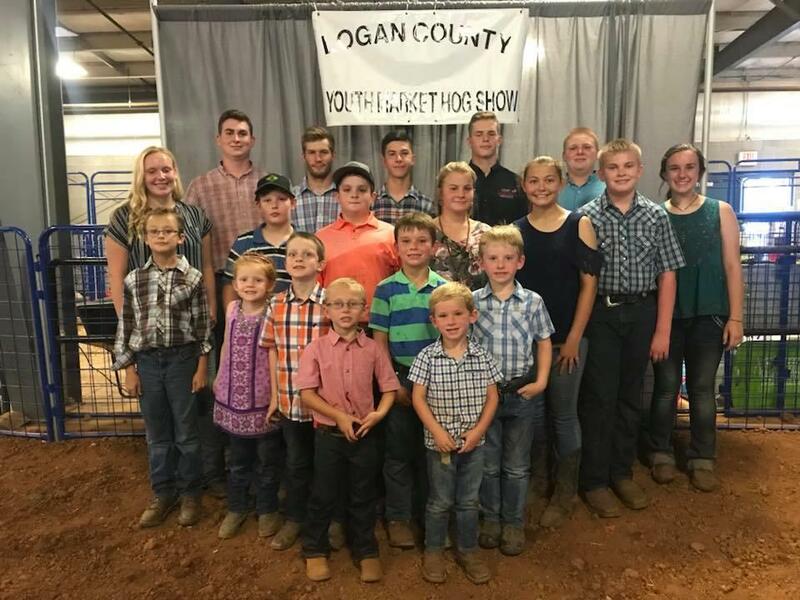 The Logan County Cattlemen's Association's 4-H/FFA Youth Market Steer/Heifer Weigh In will be held Wednesday, March 20, from 5-7 p.m. at the Logan County Ag Arena in preparation for Show Day June 3. Forty-two steers have been weighed in by 24 exhibitors, ranging in weight from 475 to 886 pounds at an average weight of 690 pounds. 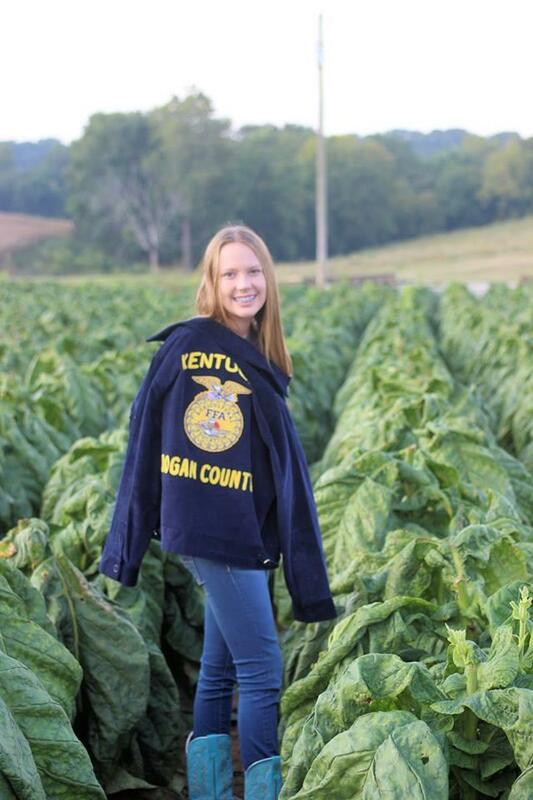 Youths who would like to be added to the carcass list can contact Agriculture Agent Leann Martin at 270-726-6323. 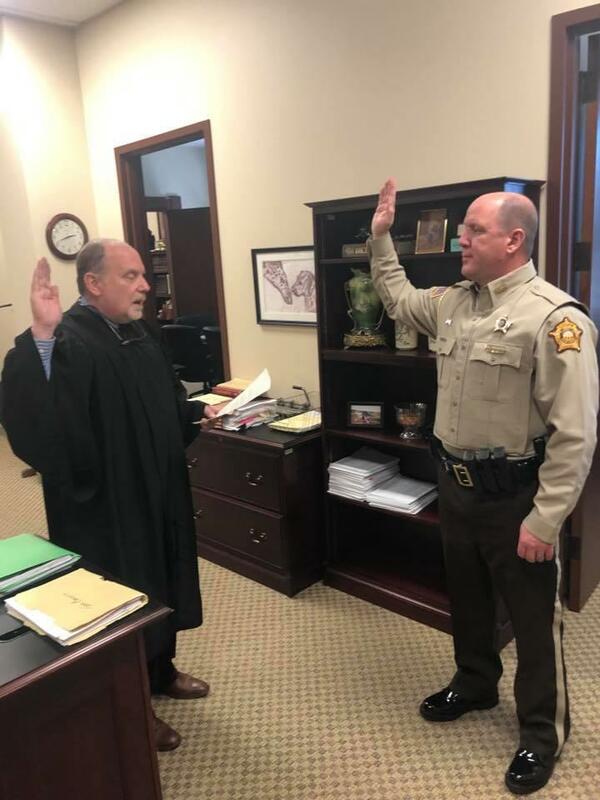 New Logan County Sheriff Stephen Stratton has named retired state trooper Forrest Winchester as his chief deputy. Winchester has 25 years in law enforcement, 22 with the Kentucky State Police and three with the Simpson County Sheriff’s Office. 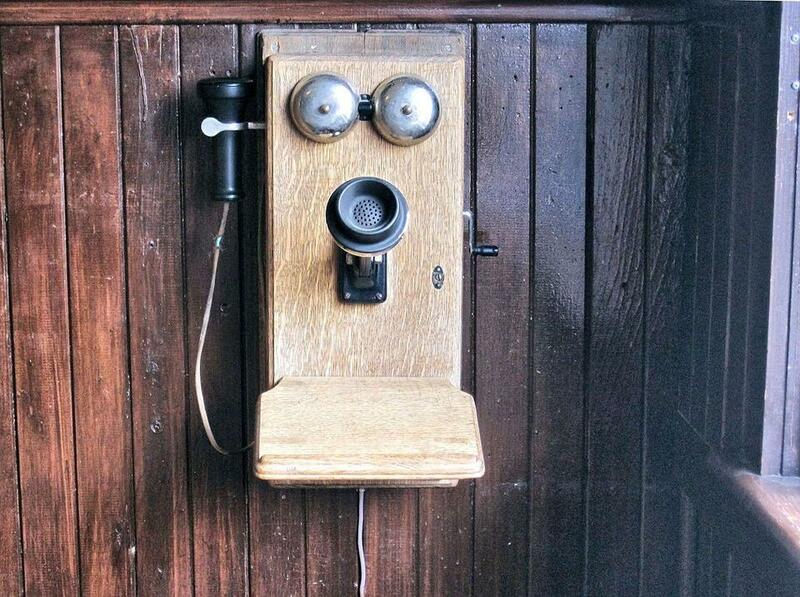 From David Guion: Remember when we didn't have cell phones? How about when we had no telephones? This Saturday, March 16, at 7 p.m. at the Logan County Public Library you are invited to join the Southern Ky Pastfinders for a very informative program. 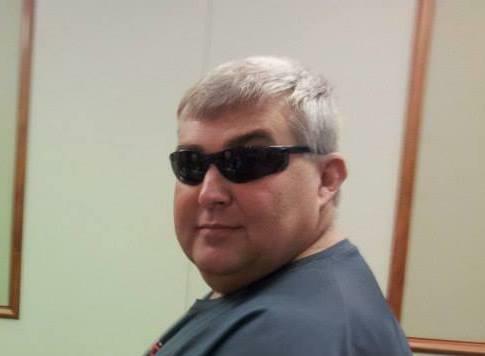 Don Lindsey from Morgantown will be telling us about the earliest days of the telegraph and telephone in this country. He also has an interesting display of artifacts from his collection. Remember, the public is invited and the admission is free. So don't let history be a mystery, come learn with us . The Murray State Racers (27-4) became the first team in the nation to qualify for the men's NCAA Tournament following their 77-65 win over Belmont in the finals of the Ohio Valley Conference Tournament Saturday before an OVC record 10,527 fans in Evansville and a huge television audience on ESPN2. Many in the crowd, including many professional scouts, were there to see MSU star Ja' Morant in action. An expected NBA lottery pick, Morant scored 36 points against the Bruins. Belmont was without standout freshman center Nick Muszynski, who was injured in a semifinal win over Austin Peay in Friday's semifinals. Coach Rick Byrd's Bruins (26-5) have an outside chance of being invited to the tournament, especially if Muszynski is able to play. 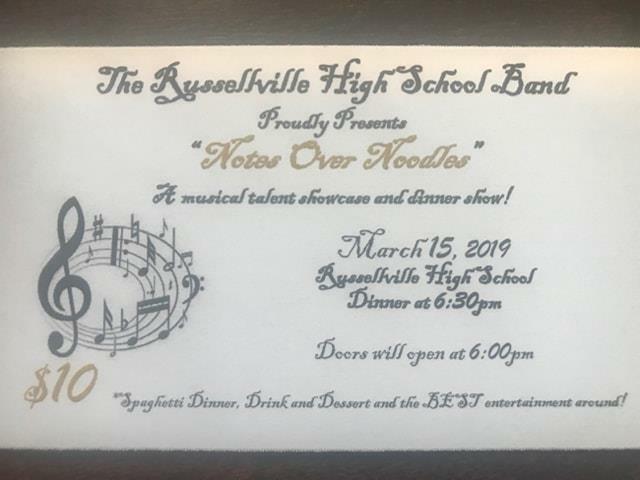 The Russellville High School Band is currently selling tickets for "Notes Over Noodles" a musical talent showcase, on Friday evening, March 15, at 6:30 p.m. at RHS The doors open at 6 p.m. The show will feature instrumental and vocal talents of the band students. Tickets include dinner, dessert, silent auction and The superior musical talent! Tickets can be purchased from any RHS band student or by contacting the High School at 270-726-8421. 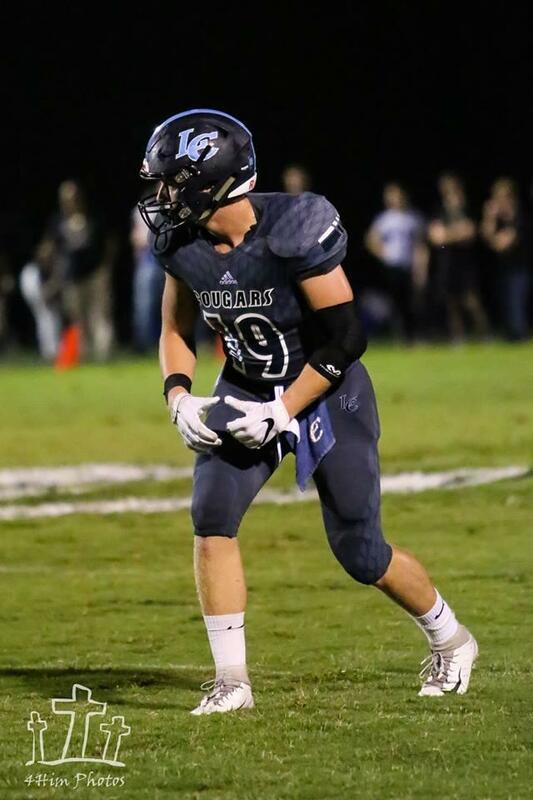 Standout wide receiver Chandler Silvey, who played a big role in the Logan County Cougars 21 wins the past two years, will sign to play collegiate football for Kentucky Wesleyan during a cermeony Friday at the Logan Career & Technical Center at 3:30 p.m. Silvey is also a member of the Cougar baseball team. 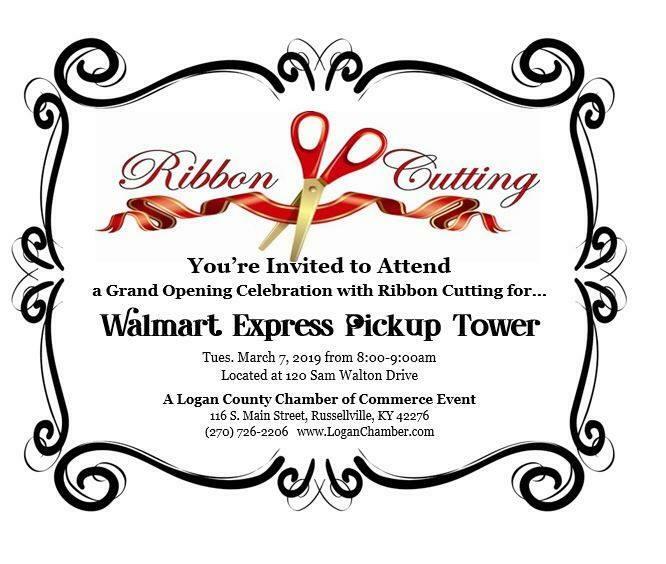 The Logan County Chamber of Commerce will conduct a ribbon cutting for the new Russellville Walmart Express Pickup Tower Thursday from 8-9 a.m. The public is invited. WRUS radio has announced the death Tuesday morning of Vivian Neagle, 76, a retired business teacher from Chandlers and Logan County high schools. She was on the orignal faculty of LCHS. Mrs. Neagle was the wife of WRUS newsman/morning air personality/co-owner Don Neagle. Listen to WRUS for funeral arrangements. 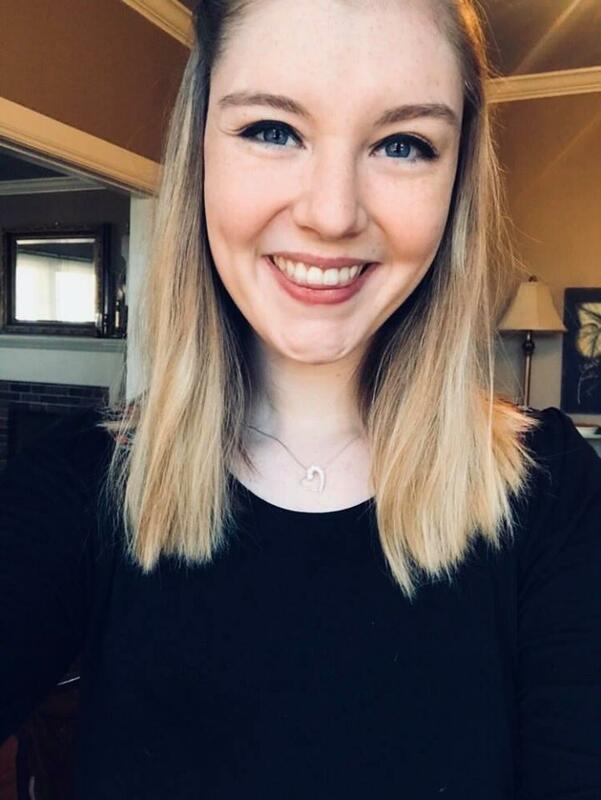 From Russellville Arts Council's Larry Vaught: So sorry to report that the Operatic Recital with Hannah Lawrence of Austin Peay State University at the Historic Logan County Courthouse will NOT TAKE PLACE this week (due to her pianist's health...that's me!). BUT we are looking forward to rescheduling this wonderful singer and some of her Austin Peay friends in a month or so as the Opera Department prepares a production of Gilbert and Sullivan's operetta "The Pirates of Penzance"! Check back later for an update. The game was never close in the Barren County Trojanettes' 71-41 win over Logan County in the Fourth Region semifinals at Diddle Arena. Monday. Coach Piper Lindsey's team led 42-18 at the half. The Trojanettes out-rebounded the Lady Cougars 48-18. 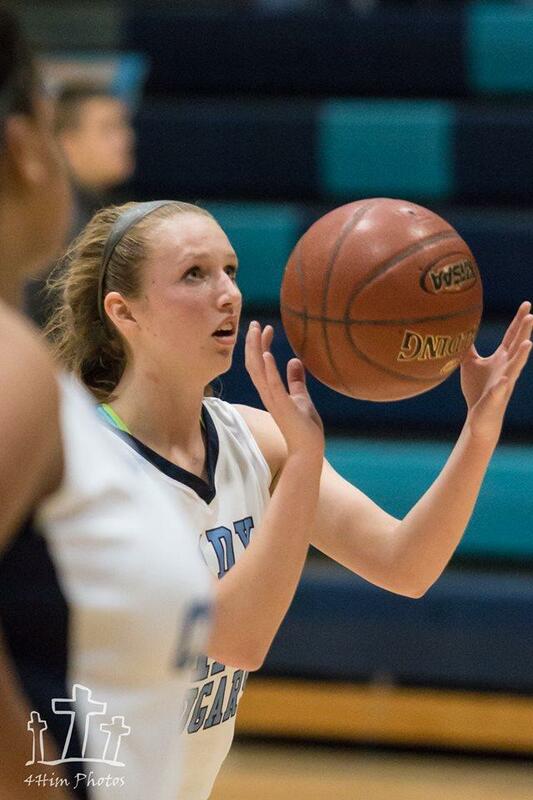 Elizabeth Bertram led Barren with 16 points and Bailey Pedigo had 12. Mallory Pedigo played solid defense on Logan's Sarah Beth Hale, holding her to 6 points. Paige Vanzant topped Logan with 9 points. 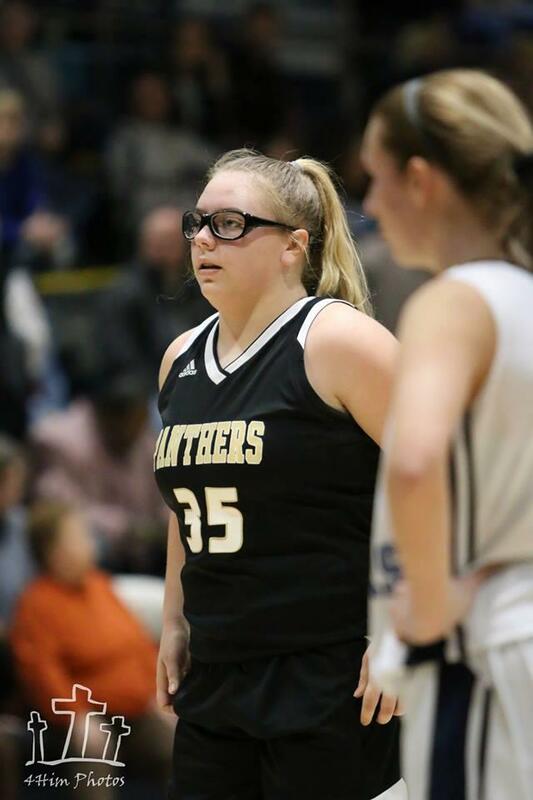 Carlie Alvis scored 7 and Blayke Bingham hit a pair of 3-pointers. Barren County advances to the regional finals with a 30-4 record. Coach Finley Baird's Lady Cougars finished 22-11 and as 13th District champions. 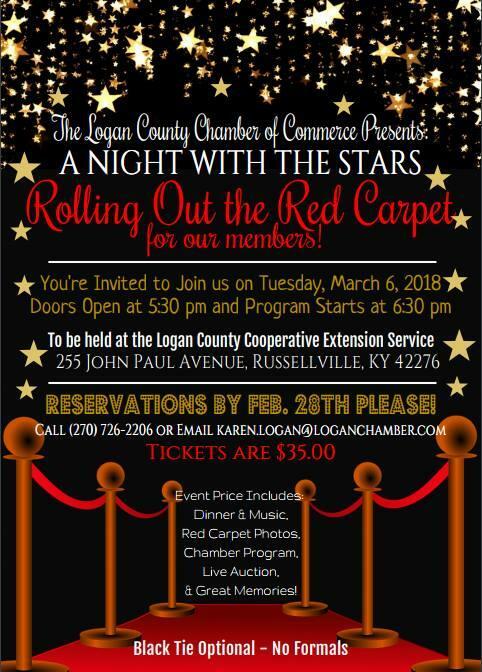 “The Magic in Logan County” is the theme for the Logan Chamber of Commerce’s annual dinner Tuesday, March 12, at 6:30 p.m. The $37 ticket includes the dinner and program at the Logan County Extension Office. 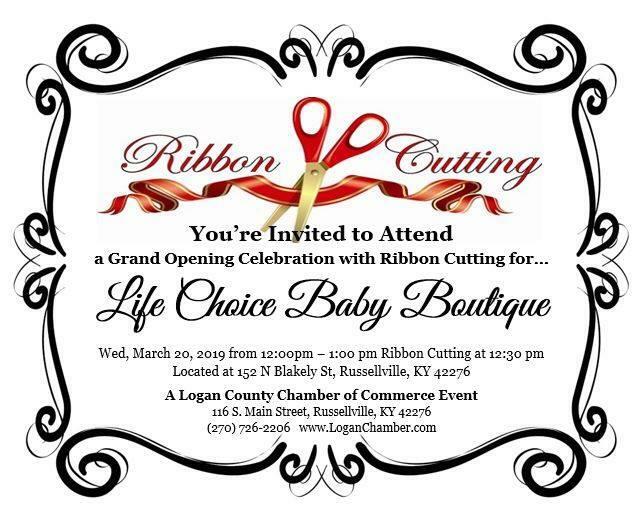 RSVP’s are requested by March 8 by calling 27-726-2206. 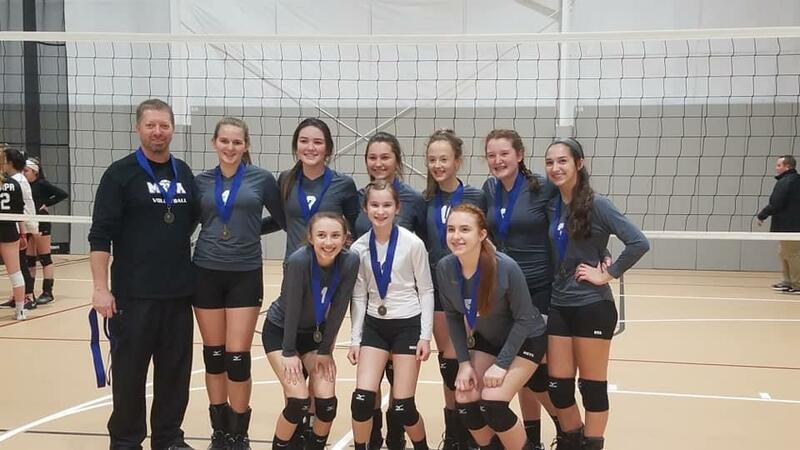 Although he has given up his ultra-successful role as coach of Logan County High School Volleyball, Steven Lyne is helping develop young players. 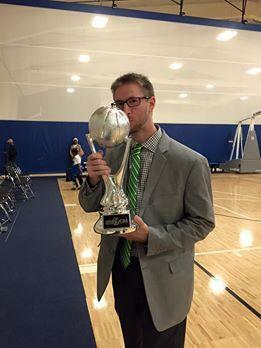 This weekend he coached the MSVA U14 team to a 5-0 record and the championship of the Spring Showcase in Hopkinsville. Members of the team are Kinsey Hayes, Carolina Kelley, Lucy Chester, Kaitlyn Scruggs, Makenzee Bryan, Reagan Christian, Abi Miller, Lindy Mitchell & Lilli Harris. 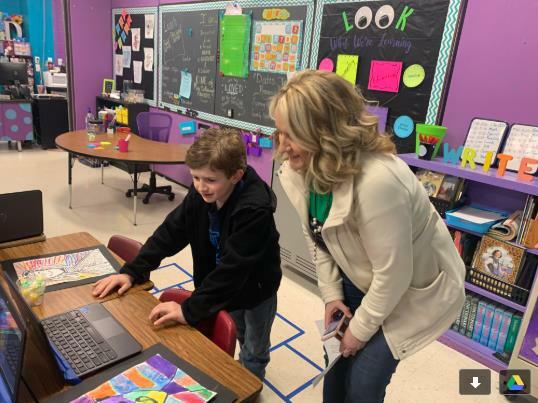 A 2008 graduate of Logan County High School is expected to be shown on the first episode of American Idol's 17th season, which begins tonight on ABC. Adam McPhaill is now known as Adam Mac and is in the music business in Nashville. He describes his music as "country with a little bit of soul and a little bit of twang." 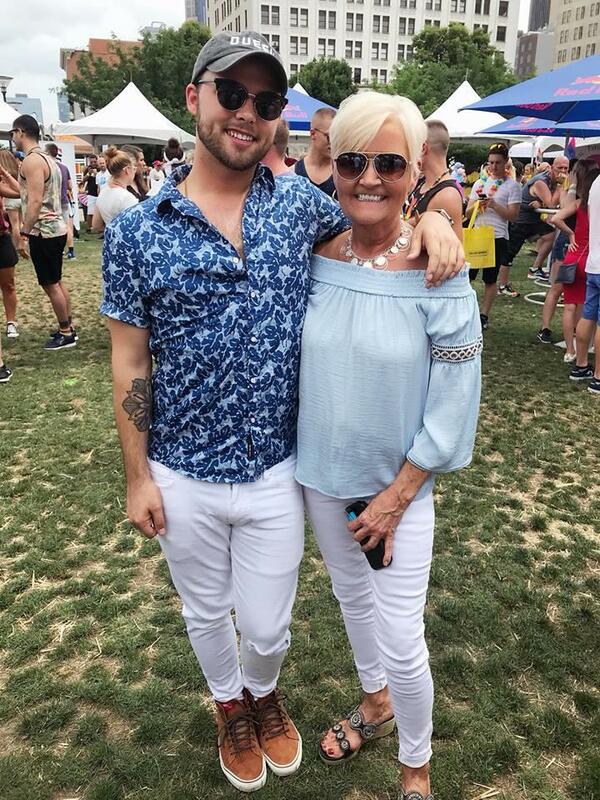 He earned an audition for the show's 12th season in 2013 and traveled to Baton Rouge, La. for that. He lists among his family members mom Betty McPhaill, sister Lisa Rose and brother Stanley McPhaill. The show will air at 7 p.m. Sunday on Bowling Green's Channel 13 and Nashville's Channel 2 with host Ryan Seacrest and judges Katy Perry, Luke Bryan & Lionel Richie. His song "Black and White" can be seen on YouTube. 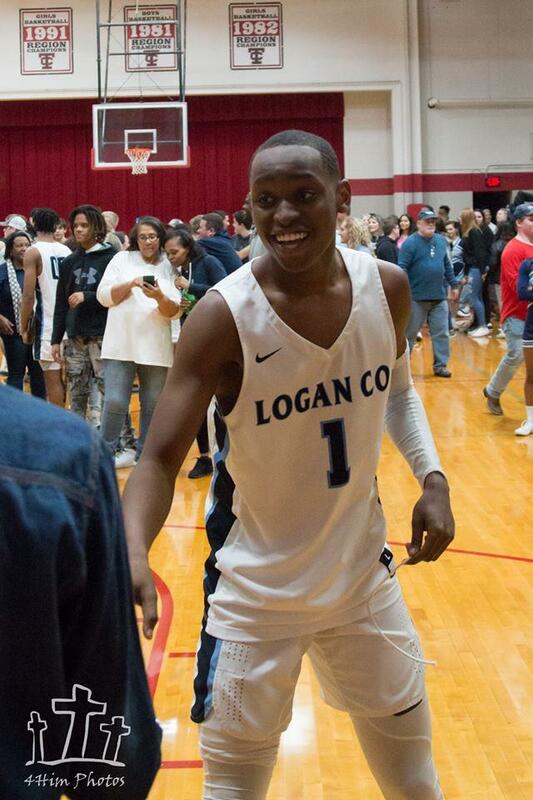 Logan County led three times early in its regional semifinal game Friday at Diddle Arena, but the Warren Central Dragons took over and led 26-17 after a quarter. 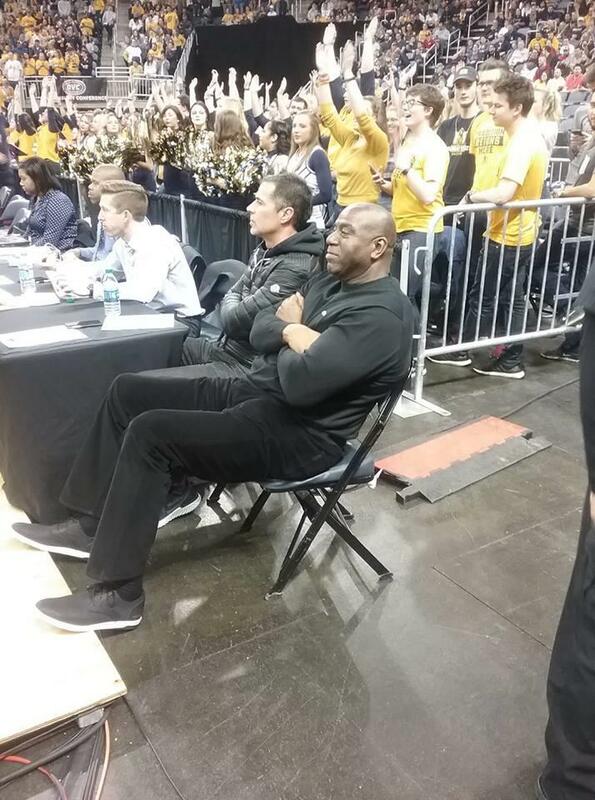 That margin reached 14 at halftime, and Coach William Unseld’s Dragons led by as much as 22 in the third quarter on the way to a 93-77 win, even though Rooster Woodard’s six straight free throws cut it to 12 late in the game. Kelby Epley had a good offensive game with 22 points as his high school career ended. Woodard scored 19, Dalton Thompson 13 and Third Bell 10. Reggie Powell led the defense despite drawing four fouls in the first half. Reserve Jay Hardison hit two quick 3-pointers in limited action. Four Dragons scored in double figures, led by Tayshaun Bibb with 24 and Kobe Brents with 19. The Cougars finished 25-7 in Coach John Tinsley’s first season at the Cougar helm.